Okay, I've got it all set up and I want to write a basic C app so I went looking for examples. I found examples, but didn't know how to get them to build and none of the docs showed me how. So here's how I figured out how to get a basic app built. 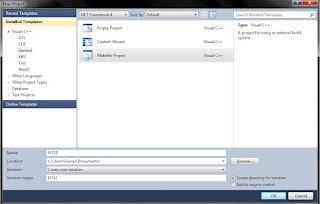 This article will describe how to run Main, a project that contains a simple C application. 1. Open Nt32Pkg.dsc. It is located in C:\edk2\NT32Pkg. 2. Under the [Components.IA32] section, add "AppPkg/Applications/Main/Main.inf"
Main uses the standard C library, which is not used by any other modules in the Nt32 platform. So need to add the C library the platform so that that it will be built. 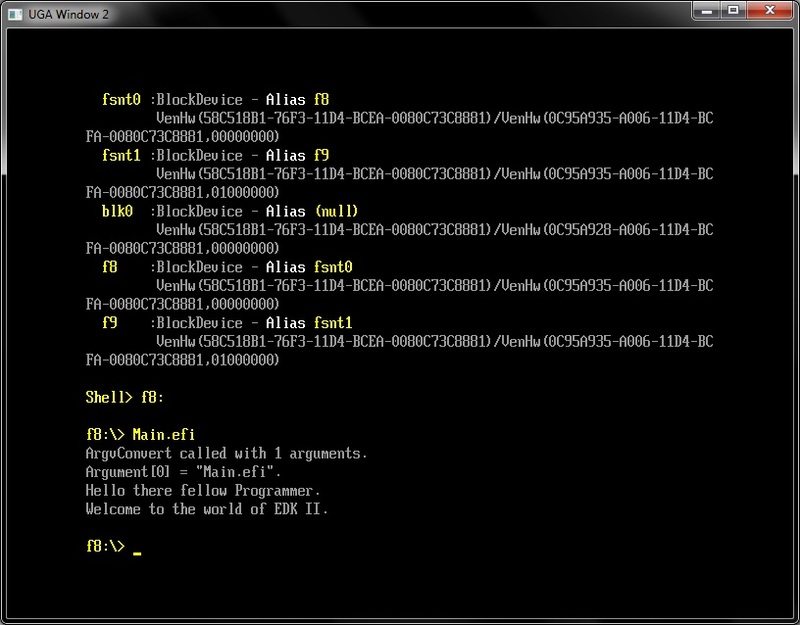 The EMULATE flag tweaks the C Library so that it works well with emulated (or hosted) environments like NT32. 4. Be sure edk2 is up-to-date. Ok, I got it built and now I can go about modifying it and creating new stuff. 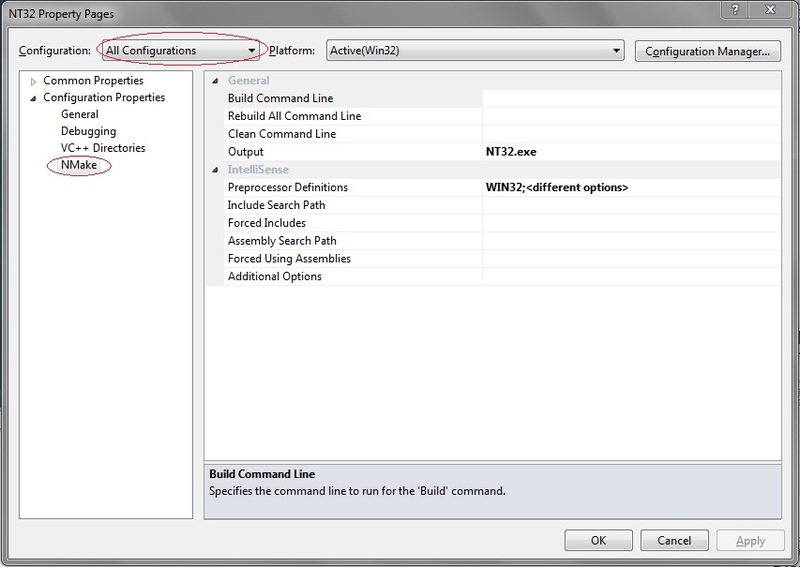 Last time, we looked at how to set up the Windows-hosted (NT32) UEFI environment provided by the EDK2. 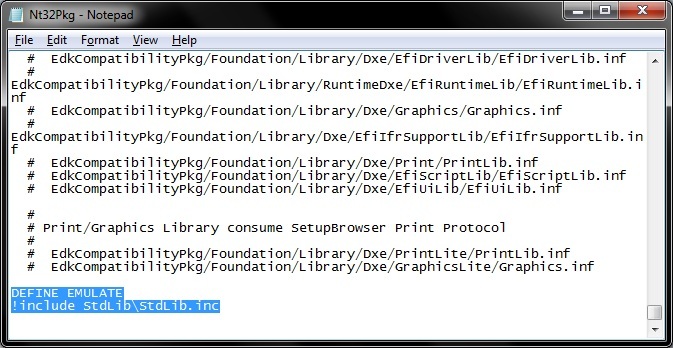 The NT32 environment is very useful for debugging UEFI applications which aren't tied to specific hardware devices. 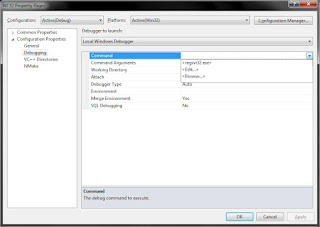 So in this article, I'll show how to add on debugging support in Visual Studio 2010. 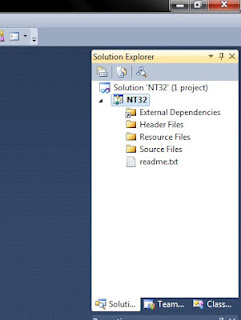 This article assumes you have already loaded the Visual Studio project to build the EDK2's NT32 platform in C:\edk2 as described previously. 1. 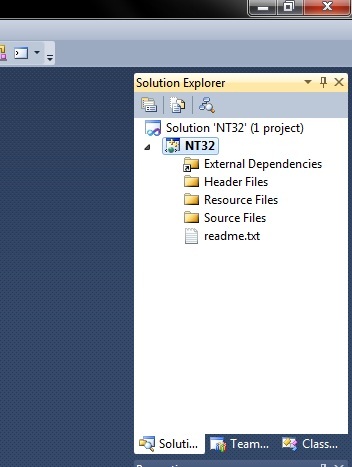 Select the NT32 project in the Solution Explorer. Select Project->Properties. 2. Select "Debugging" on the right. Select "Command" and click the drop-down arrow. 3. Click "<Edit...>" A separate editor window should open up. 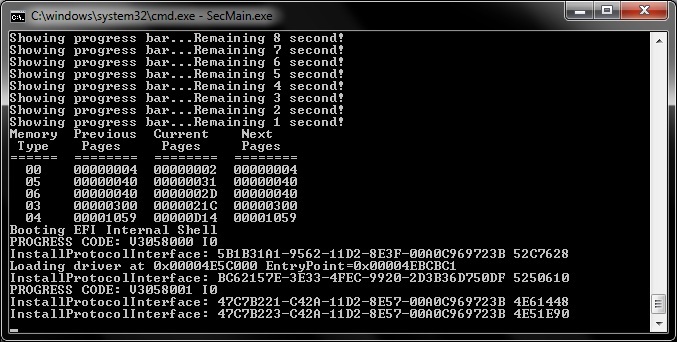 Enter "C:\edk2\Build\NT32\DEBUG_VS2010x86\IA32\SecMain.exe"
4. 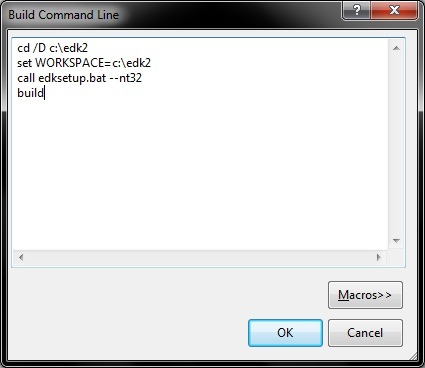 Do the same for "Working Directory" and enter "C:\edk2\Build\NT32\DEBUG_VS2010x86\IA32"
6. 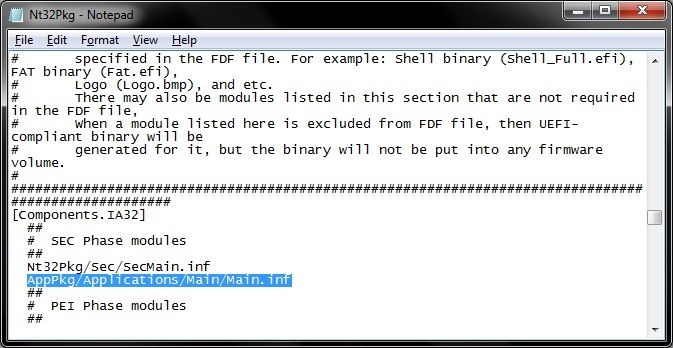 Now, since Environment variables no longer work for NT32, we need to actually change the DSC file. 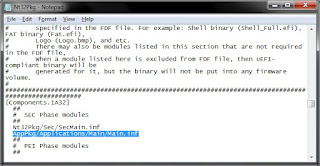 Open up Nt32Pkg.dsc (located in C:\edk2\Nt32Pkg\Nt32Pkg.dsc). 7. Find the section labeled "Pcd Dynamic Section." 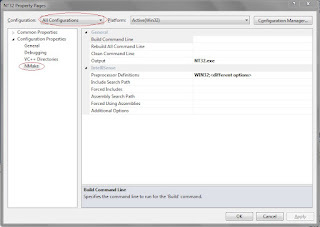 HOW-TO: Set Up The EDK2's Windows-Hosted UEFI Environment With Visual Studio 2010. 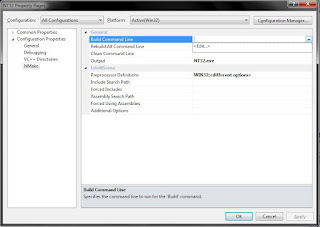 This article shows how to set up the environment for the Windows-hosted UEFI (aka NT32) in the environment provided by EDK2. 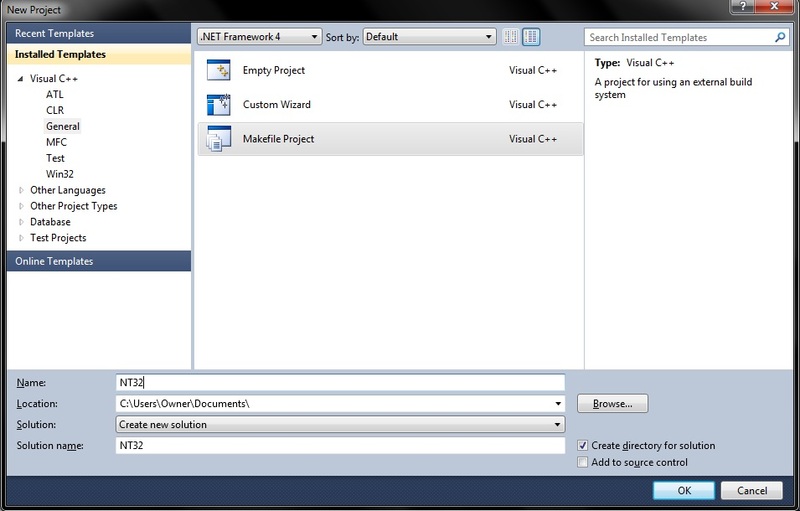 This is similar to a previous article, but this time, we are using EDK2 and Visual Studio 2010. 2. 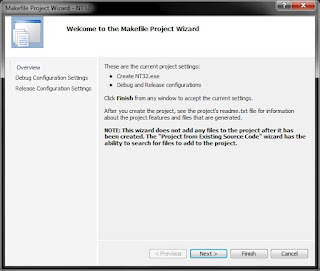 Select the "General" project category and select "Makefile Project." Enter the name as "NT32" and click "OK."
3. 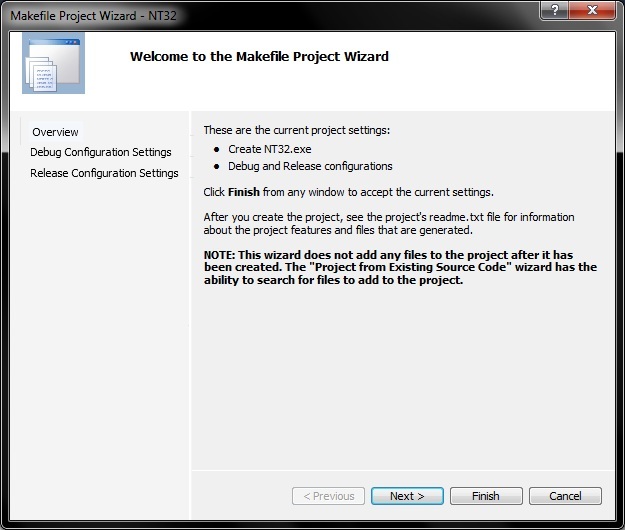 The Makefile Project Wizard will pop up. Click "Finish." 4. 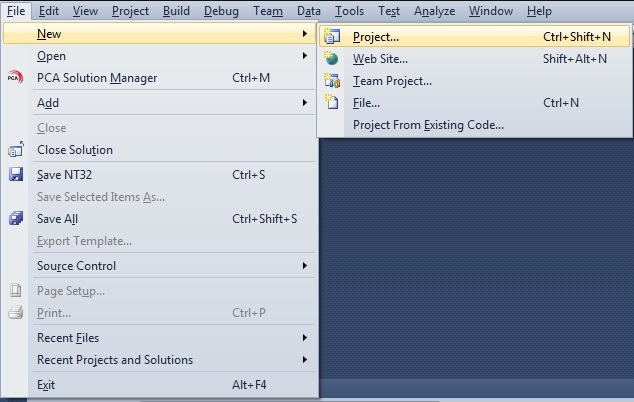 Your new project will appear in the Solution Explorer. 7. 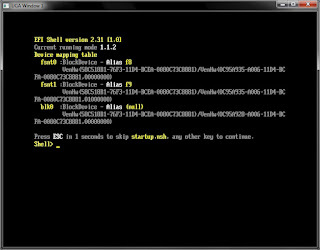 Select "Build Command Line" and click the drop-down arrow on the right. Click "<Edit...>"
8. This will pop up a separate editor box. On three separate lines, enter the following text and click "OK."
12. 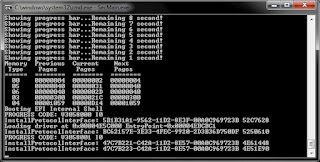 Edit target.txt, which is located in C:\edk2\Conf, and change TOOL_CHAIN_TAG = VS2010x86. 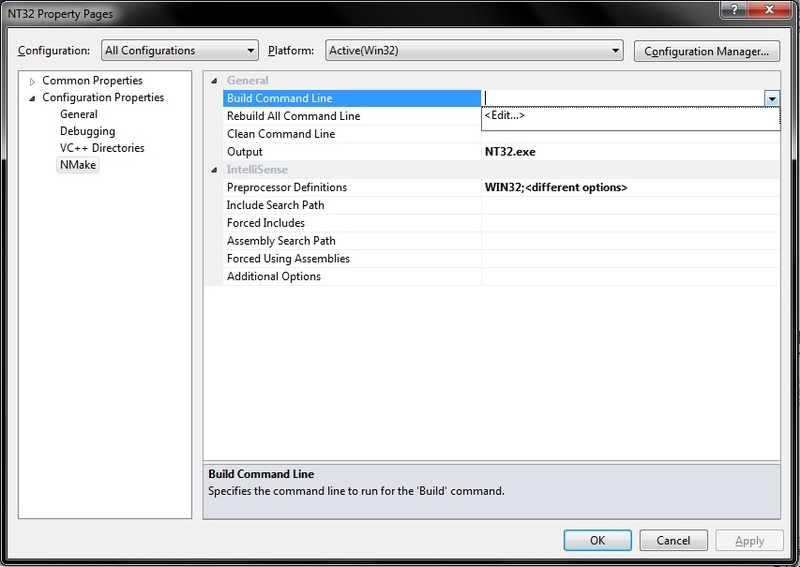 By default, it is set to MYTOOLS, which builds in Visual Studio 2008 and will cause build errors. 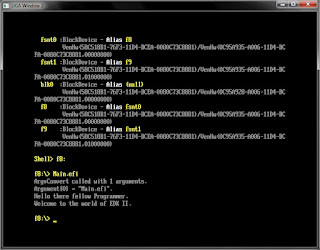 You will see (at least) two windows: the debug output console window and then the graphics output window. 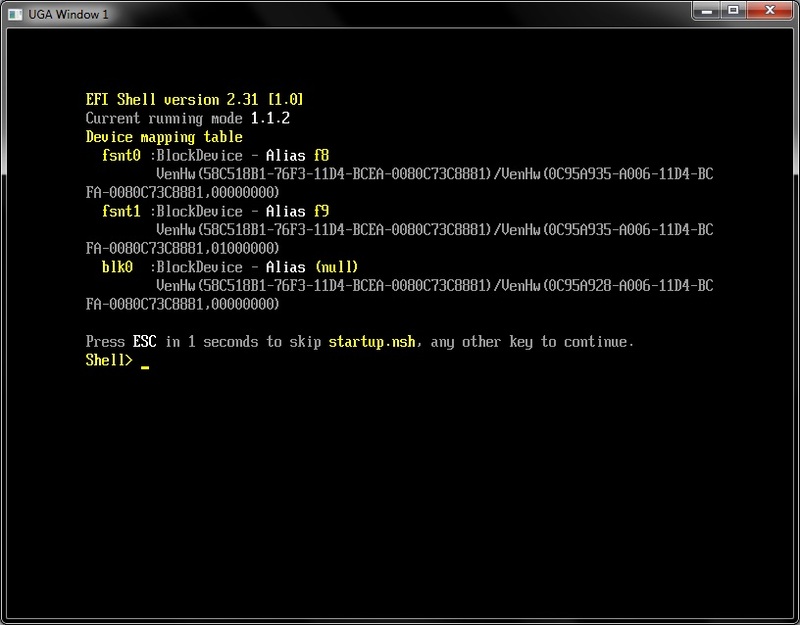 The graphics output window will show a fake logo, a progress bar and then boot into the built-in EFI shell. That gets us past the first step. 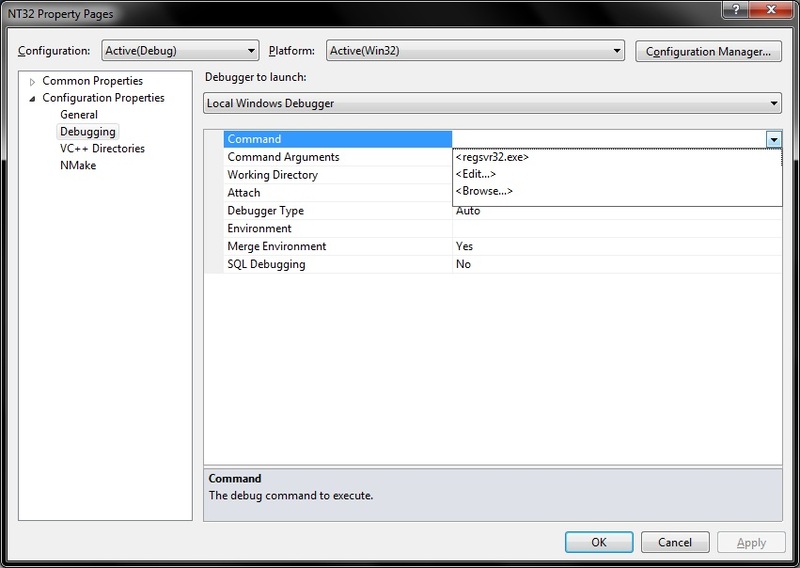 Next time, we'll show how to set up the debugger and make the code debugger-friendly in VS 2010. UEFI Summer Summit, 16-20 July at Microsoft. Well, the plugfests have been coming fast and furious. Taipei, Sunnyvale, Taipei again and now Redmond. 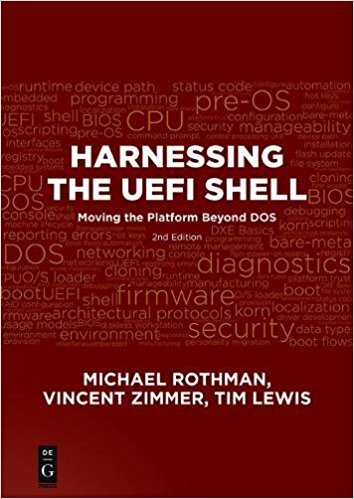 The release of Microsoft Windows 8, UEFI-optimized versions of Redhat and other Linux distros, and IPv6 have put a lot of pressure on making UEFI interoperability a reality. Pile the new crowd of plug-in PCIe cards that have UEFI option ROMs, and even a USB display device, and you can see why getting everyone together in one place makes sense. 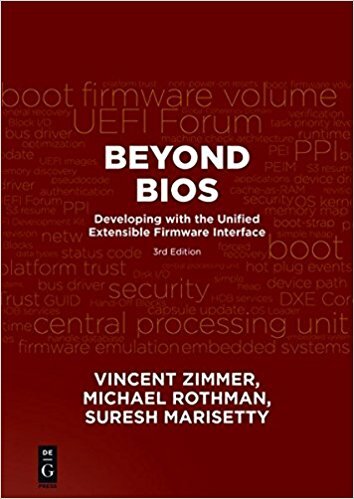 More details and registration at www.uefi.org. I'll be there. I'm sure the usual suspects will be there also. Look me up in the Insyde rooms. On a separate note, I've added a guest blogger, my daughter Shannon Lewis, a computer game science student at UC Irvine, and probably the youngest official UEFI adopter. 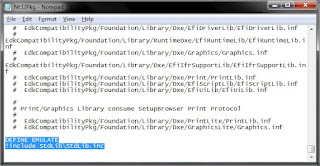 You'll be seeing some updates to older articles, as well as new UEFI programming articles.